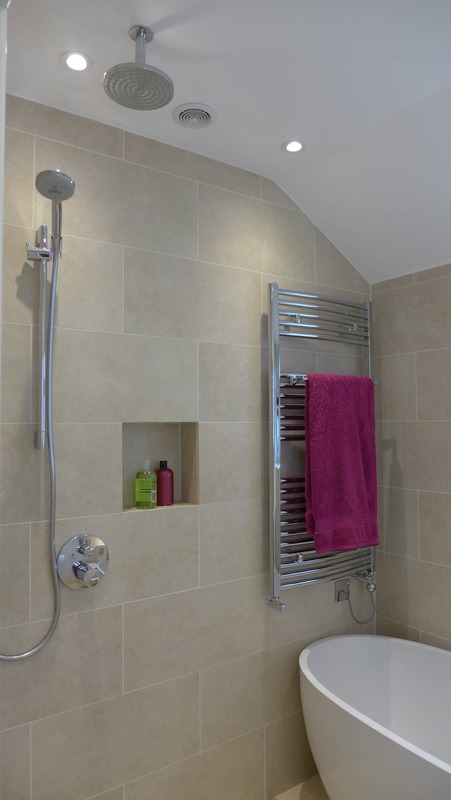 Our bathroom designs focus on practicality with style; beautiful bathroom suites and showers, plenty of hidden storage, great lighting, and underfloor heating. 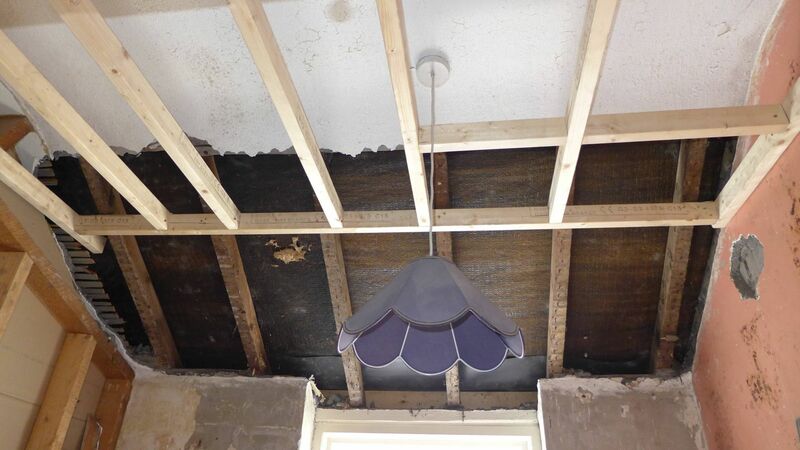 And we design and manage the whole installation for you. 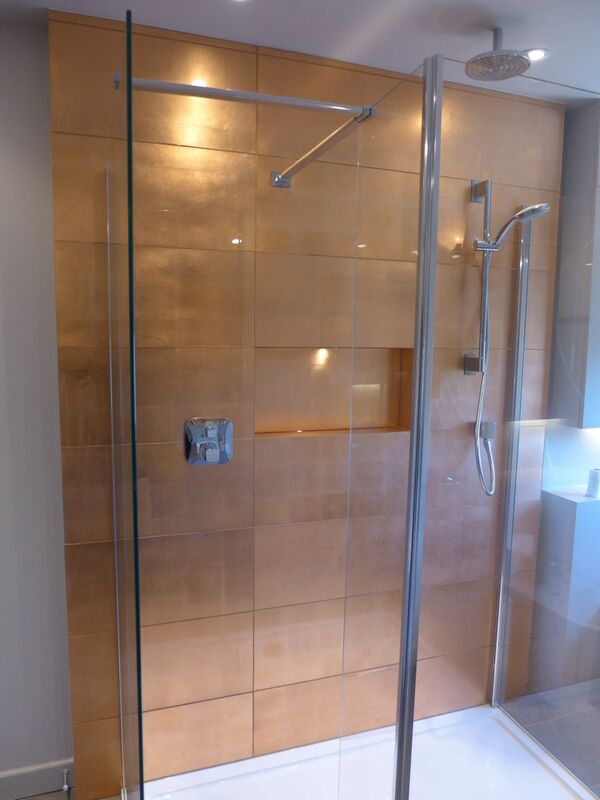 If you need help with your bathroom design, we offer an all-embracing service. Based on your brief, we produce 3D visuals to help you see how the space will work; we also provide tile, wall colour and other samples to complete the picture. 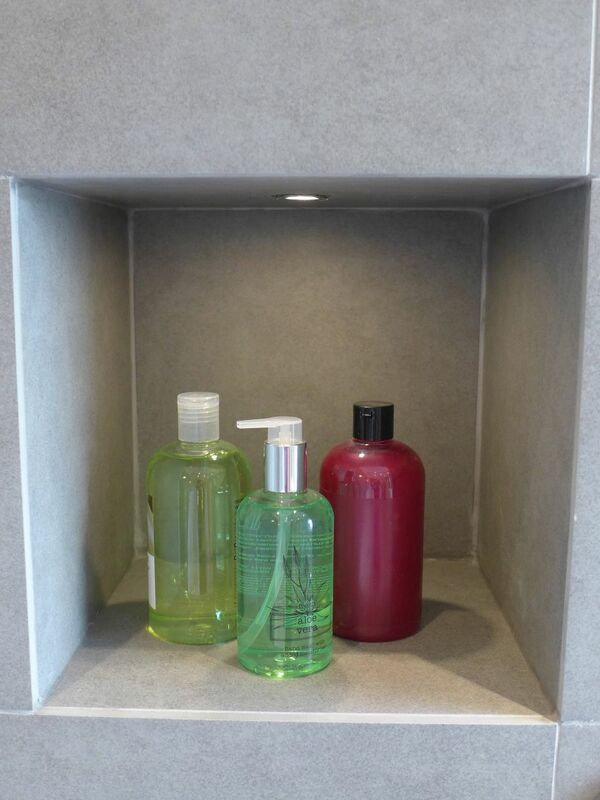 We design ingenious, discrete storage, decorated to blend with the background. Our lighting design gives bright task lighting for general use and subtle effects for night-time visits. 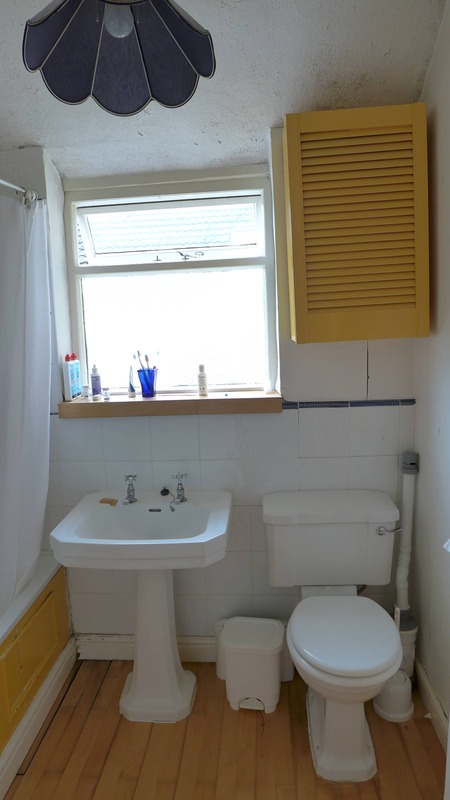 A high street retailer will sell you a bathroom suite, but you will need to sort out everything else. 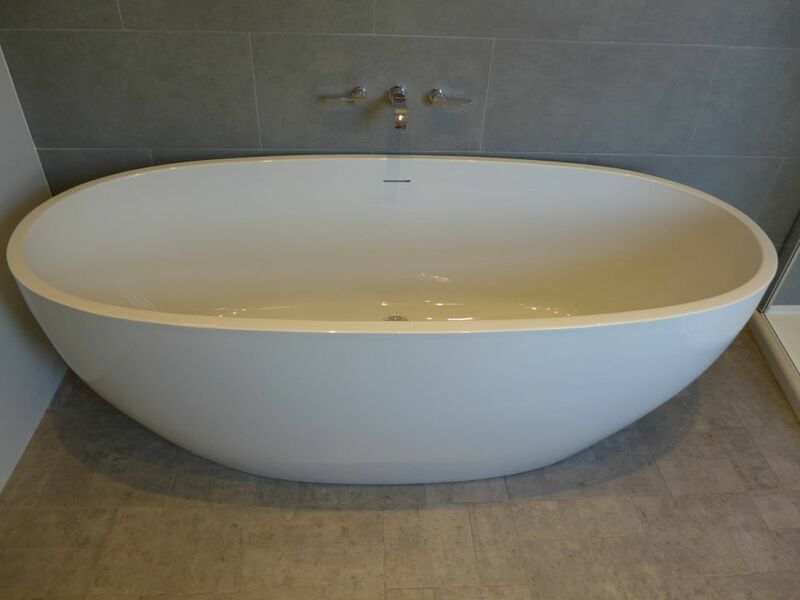 In contrast, we design and fit everything for you; plumbing, heating, electrics, decoration, flooring, window dressing, building work and other fittings. It is easy to overlook these details when budgeting for your new bathroom design, but we make sure everything is covered. 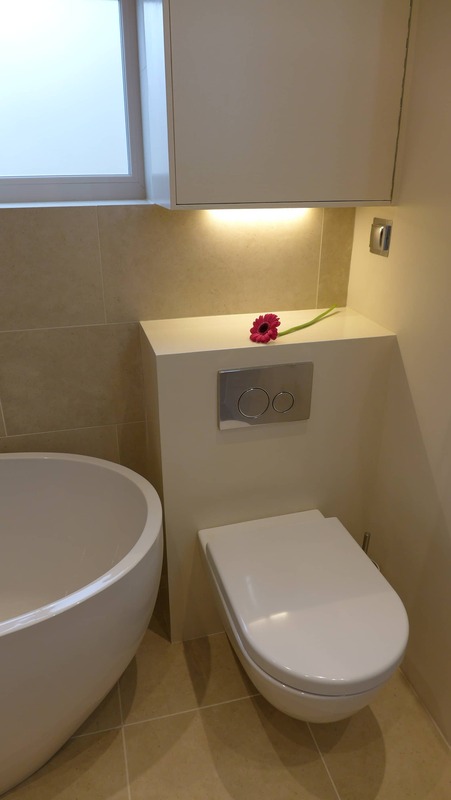 Because our bathroom design covers the complete project start to finish, you will see the total cost before making any commitment to proceed. 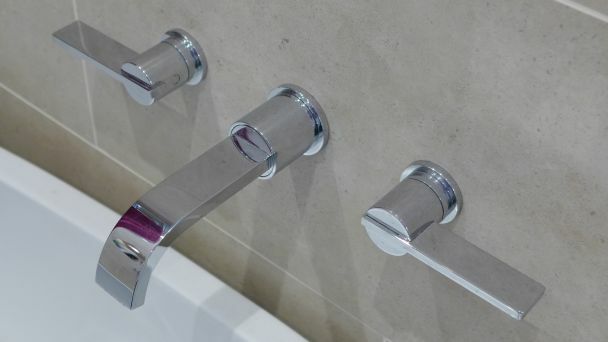 The array of bathroom suites is bewildering: wall-mounted, close coupled, pedestal, no pedestal, half-pedestal; we help you to decide what’s best for you. 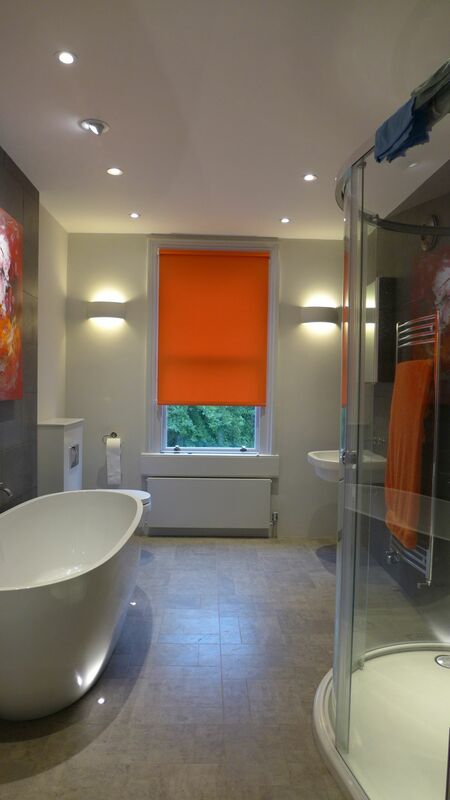 We favour wall hung fixtures and concealed supplies, because they is easier to clean; it is marginally more expensive, but you achieve a more stylish result. 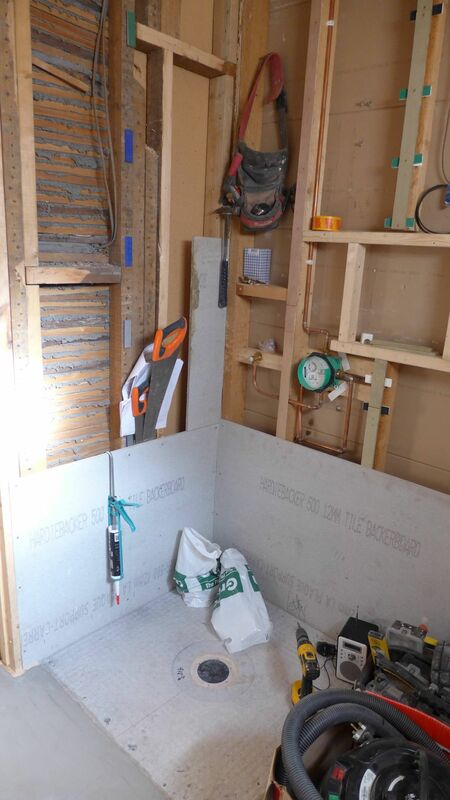 Good bathroom design should include a convenient place for soaps and shampoos; we usually install a niche with a light to provide a warm glow at night. We avoid metal edge beads, preferring the look of a through-bodied tile. 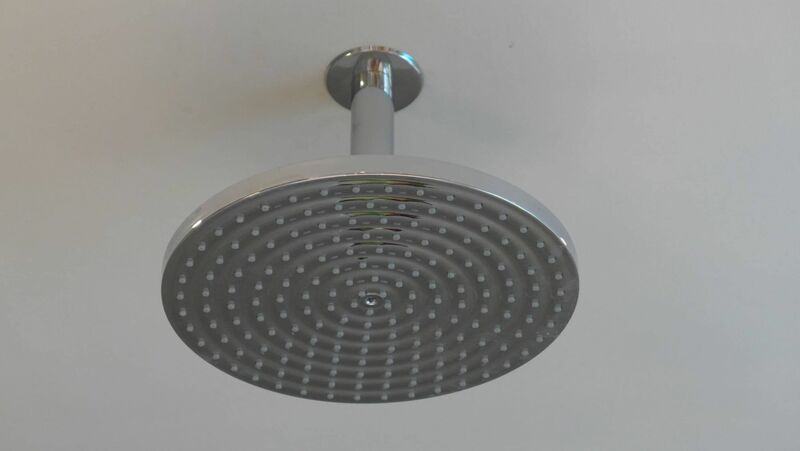 Small details like the neat tile overlap on these edges are important to us, and our regular contractors understand this. 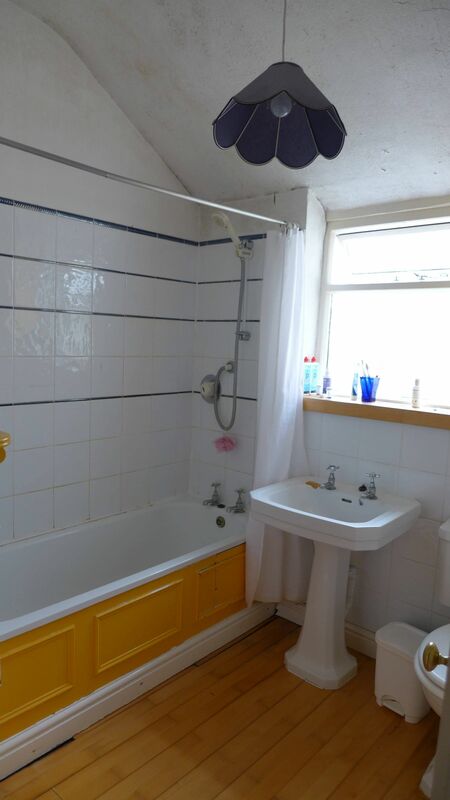 As for the debate over bath or shower, the basic answer is simple – if you have a family home, keep a bath. You can always fit a small one. If your family has left home, they may return with grandchildren – who will need a bath. 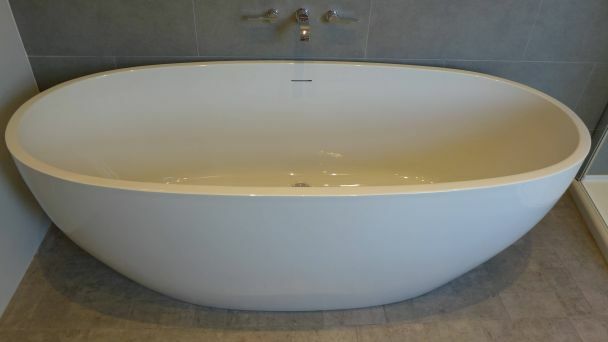 When it comes to sell your home, young buyers will expect a bath for their children. 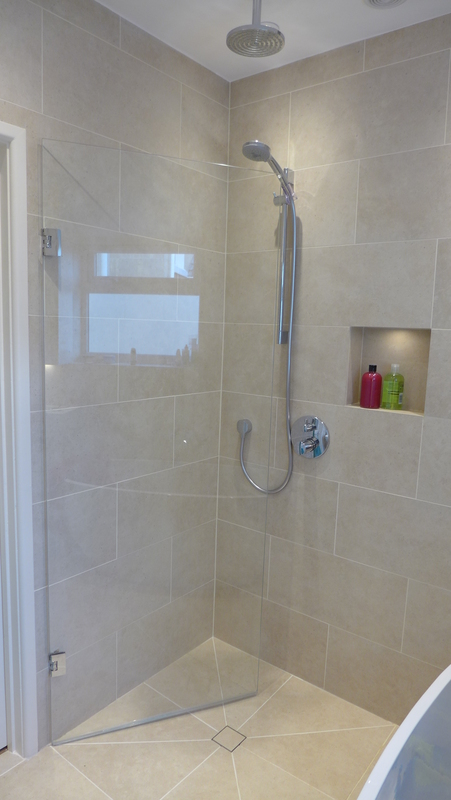 We’ve managed to give clients the luxury of both, even in a small space. 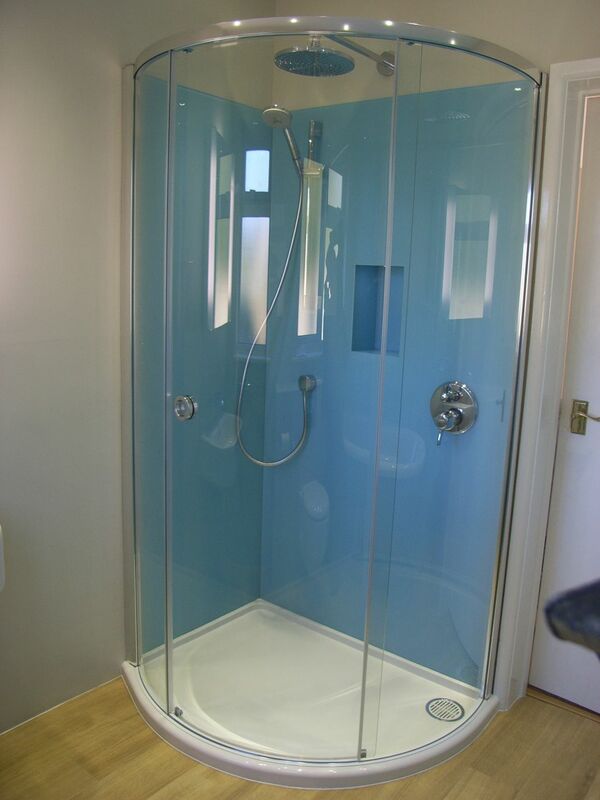 A small shower-bath with cube or curved end is a great, cost-effective solution. 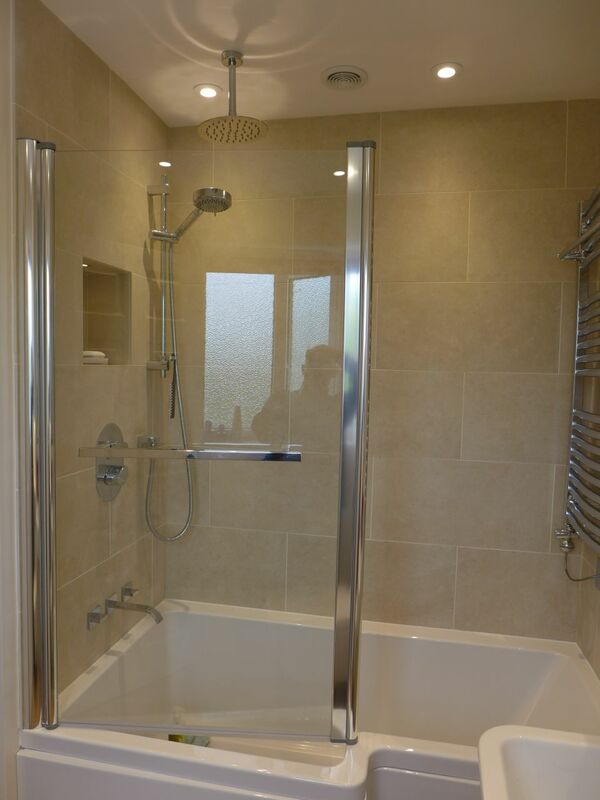 The wet room below is squeezed into a small space just 2m x 1.8m; it feels spacious because we installed a hinged shower screen, providing ample space for an elegant freestanding bath. Below you can see how the hinged glass door protects the rest of the room from spray; click on the first image then scroll through to see how this room developed. 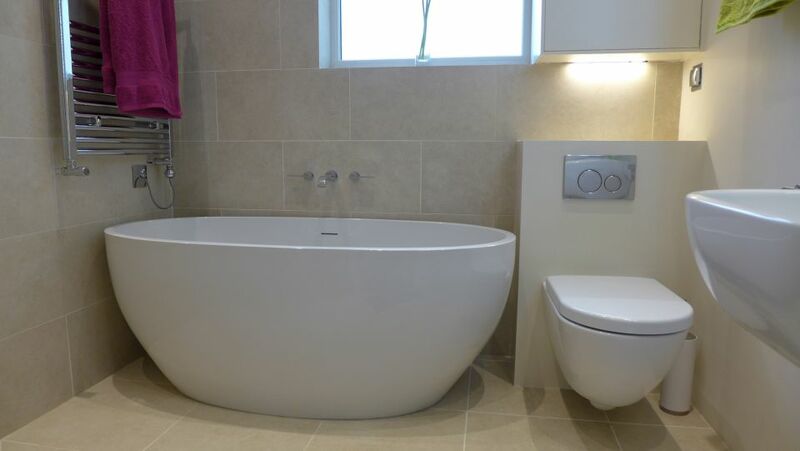 We design and manage each bathroom refurbishment from initial concepts to installation. 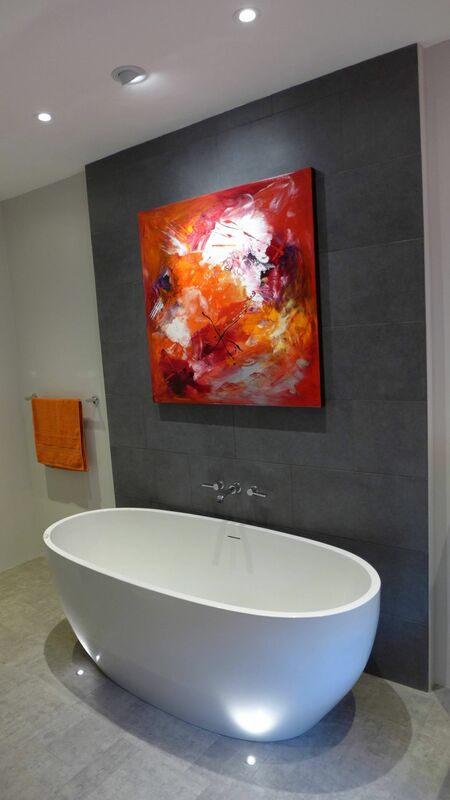 Most of our clients seek a luxury bathroom design and you may care to read more in our selection of bathrooms and en-suites.